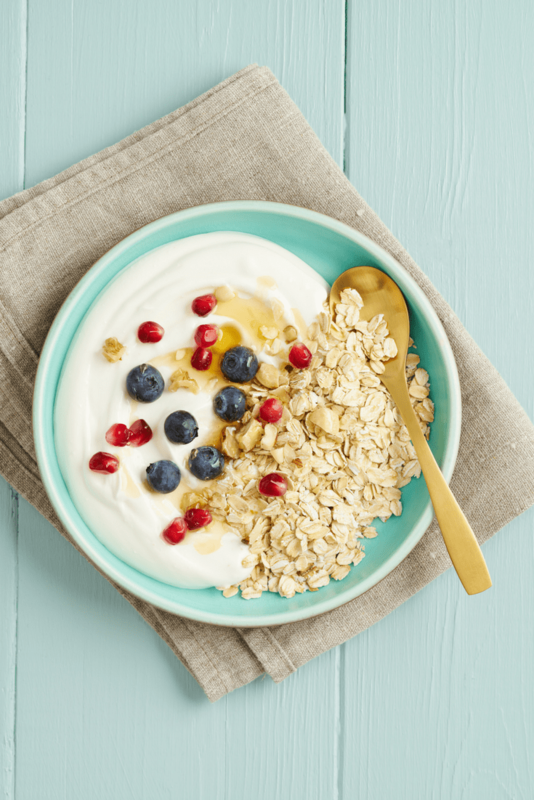 10 Great Reasons to Eat Greek Yogurt is a sponsored conversation written on behalf of the American Dairy Association North East. All opinions are my own honest experiences. A few weeks ago I had the pleasure of attending the #NYDAIRYTOUR17 in the Finger Lakes region of NY. You guys know I live smack dab in the middle of farm country. All of my friends and neighbors are farming in some way or another. Supporting farmers is important to me. Without these farms, we wouldn’t be eating. Along with the tours, we had a cooking competition complete with secret ingredients . It was so much fun to “compete” against fellow bloggers and have the recipes tasted and judged. Part of the cooking was a “Macaroni and Cheese Throwdown.” So many talented folks cooked up some delightful dishes. Being able to taste everyone’s creations was an added bonus! 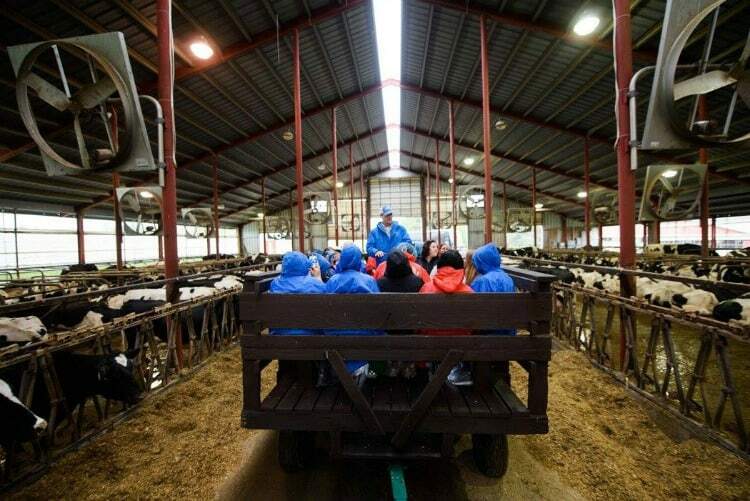 During our tours we talked a lot about dairy and foods made from milk. 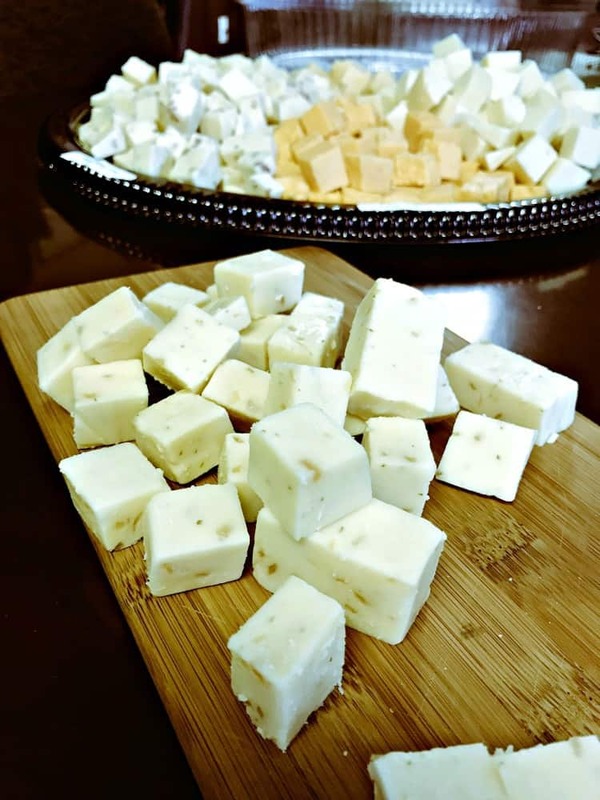 One of the questions that came up often was, “What is your favorite dairy food and how do you enjoy it?” My answer over and over again was, Greek Yogurt. I use Greek Yogurt as a base for so many recipes and as a cooking substitute, too. So, along with the tour, I thought I’d share with you all the great reasons why I love to use and eat Greek yogurt! Did you know that Greek yogurt is full of nutrition and health benefits? Greek yogurt is processed with one extra step so the excess water, lactose, and minerals are removed. Leaving a creamy, rich yogurt containing less sugar, more carbohydrates and a tang that I love! I recommend you choose full fat Greek yogurt for the best flavor and increased health benefits. Don’t worry though, eat the variety of Greek yogurt you like best and enjoy every single bite. Protein – Greek yogurt contains higher amounts of protein than regular yogurt. Protein provides your body with energy and helps support your immune and nervous systems. B12 – One serving of Greek yogurt can contain up to 21% of the daily recommended value of B12. Your body needs B12 to support brain function and red blood cell health. Greek yogurt is an excellent way for vegans to add more B12 to their diet. Calcium – Eat yogurt to get the benefits of calcium. It supports bone health, muscle strength and helps support vital organ function. 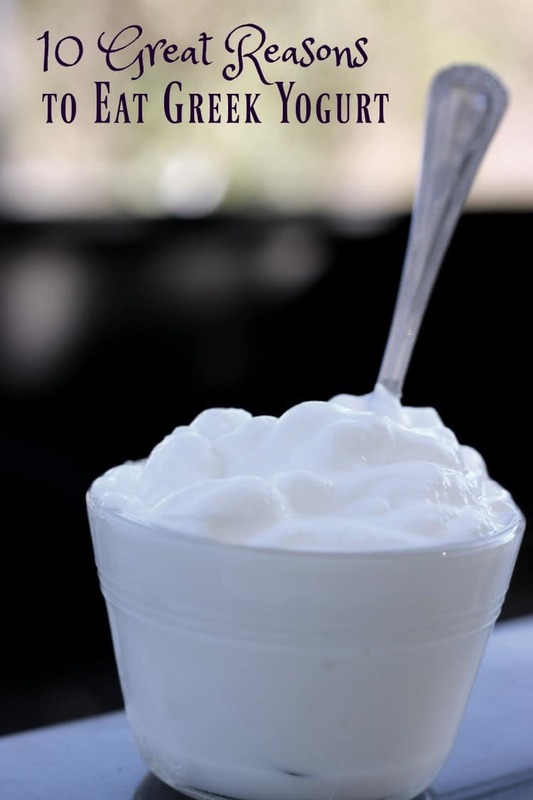 Probiotics – Healthy bacteria is naturally present in Greek yogurt. Probiotics help boost your immune system and decrease stomach issues, like diarrhea and bloating. The health benefits you can gain from eating Greek yogurt are so important to your bodily functions. Eat up! Smoothie Bowls – Aren’t smoothie bowls the most gorgeous thing you have ever seen? Most of them look to good to eat. But I am willing to eat as many as I can. Heavy or Light Cream Substitute – I made a Potato Crusted Quiche last night and the recipe called for cream. I stirred in Greek Yogurt in the same quantity and it was fabulous! Eggs and yogurt make a delicious fluffy meal. Mayo Substitute – Greek yogurt can be substituted for mayo in recipes and salads. Add your favorite herbs and spices and it becomes a delicious sandwich spread, too. Sour Cream Substitute – Use yogurt in any dip, dessert, topping or recipe that calls for sour cream. The yogurt has the same great tang with even more nutritional benefits. Frozen Yogurt – Add your favorite sweetener or honey with some fruit mix and blend, then freeze. Enjoy a delicious sweet treat! 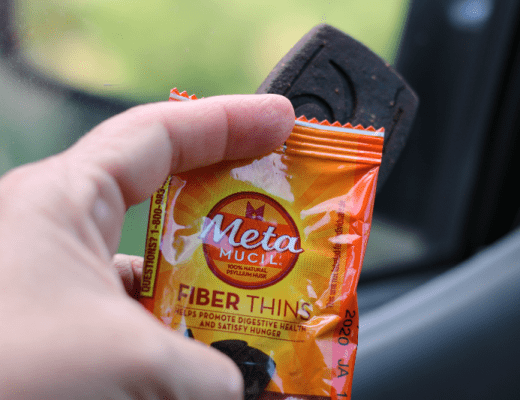 Snacks – Are you looking for an easy snack or breakfast? 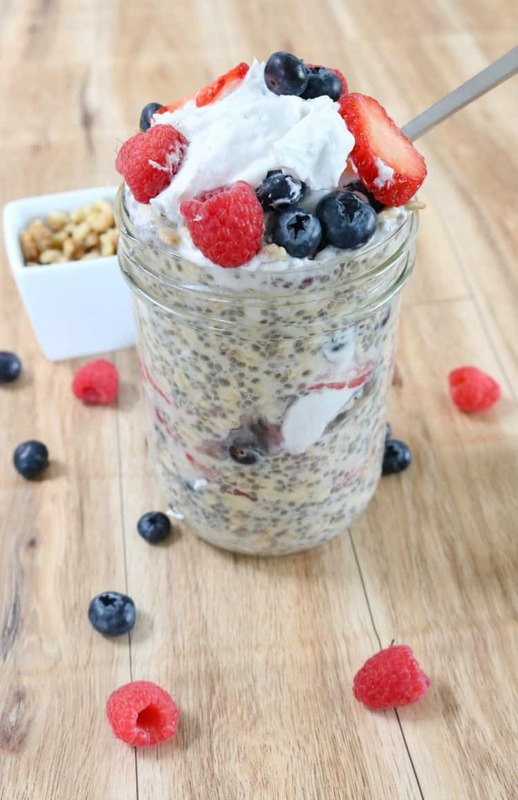 Overnight oats is your answer! You can eat Greek yogurt mixed with Chia seeds, milk and fruit all layered up in a cute jar or cup. Just grab it and go! Salad Dressing – Use yogurt for the base on any creamy dressing. Making homemade salad dressing is easy. Start with yogurt then add all your favorite flavors. I like mine with onion, dill, garlic and a few dashes of hot sauce. I add milk until it’s dressing consistency. Yum! Marinade – Mix up your favorite marinade with Greek yogurt. The yogurt adds great flavor and also tenderizes meat. Post Workout Recovery Food – Greek yogurt can be a healthy and satisfying treat after a tough workout. Not only can it hold you over until your next meal, but all of that great protein it contains can help repair damage done by your exercise routines. There are so many great reasons to eat Greek yogurt! Back to the real fun stuff. The first stop on our tour was Yancey’s Fancy Cheese Factory. Upon arrival we were immediately greeted with lots of smiling faces and of course, CHEESE! 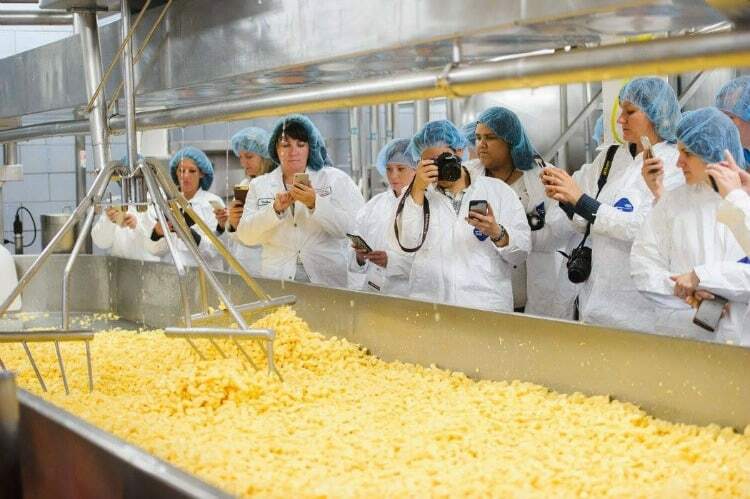 During our tour we were able to see all the aspects of cheese making up close and personal. We even learned about the science behind cheese making and the importance of dairy farms in the whole process. You just may see their fabulous cheese in a Costco near you! 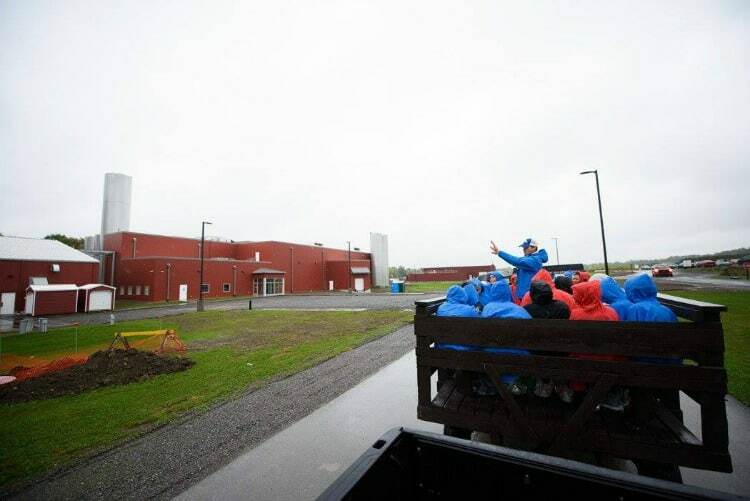 Noblehurst Farms, a seventh-generation family farm treated us to wagon ride tour with a side of rain. 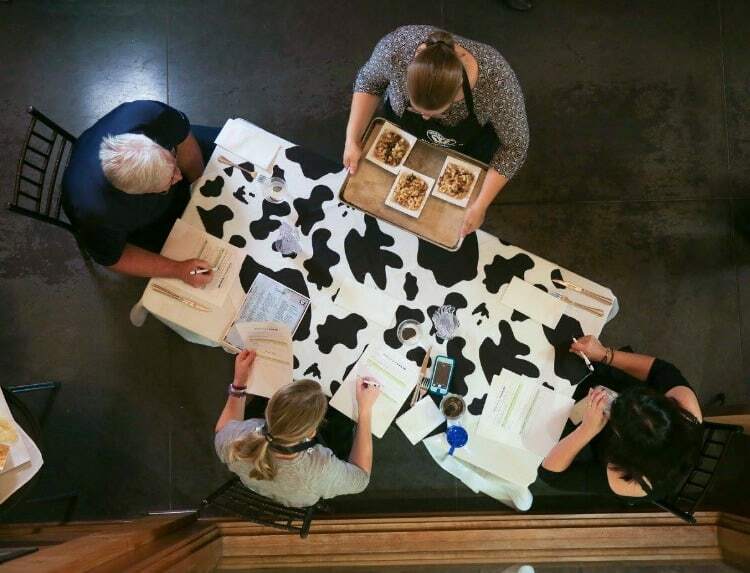 They have a 1,ooo cow farm and are doing so much more than just milking cows. 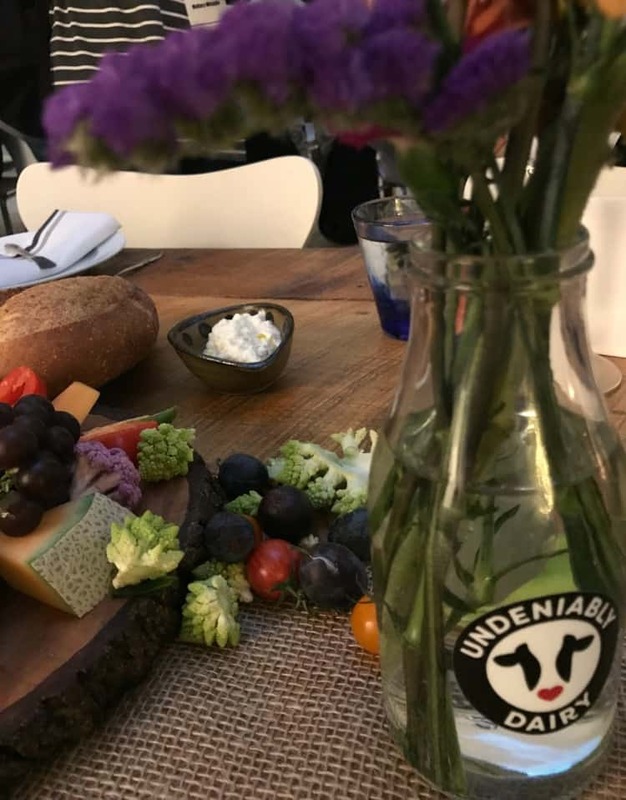 They are partnering with other like-minded dairy farmers to provide a high quality milk supply to their customers, offer recycling services to local businesses and collecting food waste from Wegman’s to help make their own energy. The innovation and technology is amazing. Of course when you are on a tour, you have to eat. We had a fabulous farm to table meal, at Left Bank catered by FLX Table, complete with wine pairings and great company. The whole trip was informative, educational and fun. The American Dairy Association North East knows their farmers! Follow American Dairy NE on FB, Twitter and Instagram for more awesome happenings, and dairy treats. Greek yogurt is a staple in our house. I for one eat a cup of it every morning, though my husband isn’t as disciplined because he is taking probiotic capsules due to cancer treatment recovery. I too substitute Greek yogurt many times and the results are delicious and better yet, healthier! Oh my goodness that cheese looks so good! As for Greek yogurt, it is the best tasting yogurt out there in my opinion and it’s packed full of goodness. 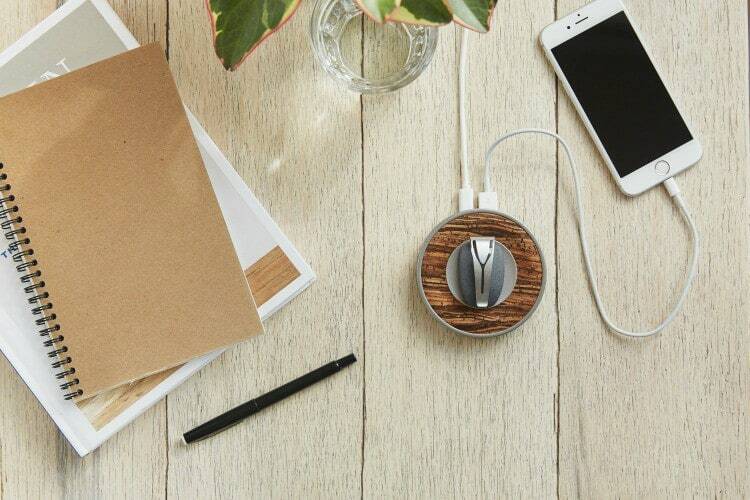 I love how many ways it can be used! I haven’t used it as a mayo or sour cream substitute but I should start doing so. Thanks for the information. I love the health benefits of yogurt. I started including it in my daily diet a couple years ago and noticed a difference within the first month. In addition to the health benefits I prefer the consistency of greek yogurt to regular as it feels like I am actually eating something substantial. I hate yougurt just can’t do it. BUT the mention of using it as a base to salad dressing that is a new one for me..